I call them Buffalo because that’s what we in the west call them. Parrelled in its significance to the people of North America by only the Bald Eagle, the buffalo has a long and storied history. Unfortunately, most of that history has played out in moments rather than eons. Sadly, the buffalo was slaughtered to near extinction during the 19th century. 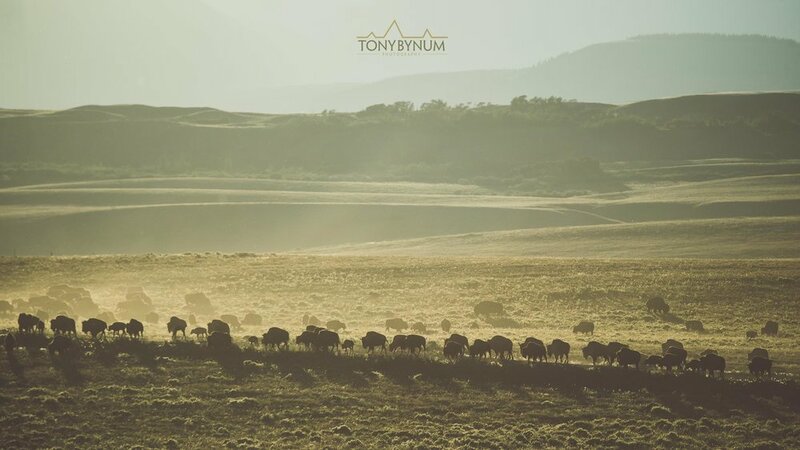 Today there are about 40,000 wild buffalo left on earth. There once were 30,000,000, THIRTY MILLION! Today efforts are underway to restore the buffalo to the north american prairie and adjacent mountains. One might think this would be a simple task, just bread them and let them go, who could dissagree with free ranging buffalo? You’d be surprised. It’s frought with controversy. Groups of people, american indian tribes, and non governmental organizations all are working to restore buffalo across their former range. No where are they working harder to restore them, than right here in my home state of Montana. Recently a small group of Native Americans, and non natives came together to talk about buffalo and to find out if there is common ground between native people who hunt buffalo and non native people who hunt buffalo with the idea that together we could help get the buffalo recognized as a wildlife species, return them to the wild and once again hunt them. Turns out, after the first two day meeting, there’s lots of common ground and we will continue to move forward, together to see to it that buffalo are once again recognized as wild animals and resorted to their former habitats.